Cundall studied at the Royal College of Art and the Slade. 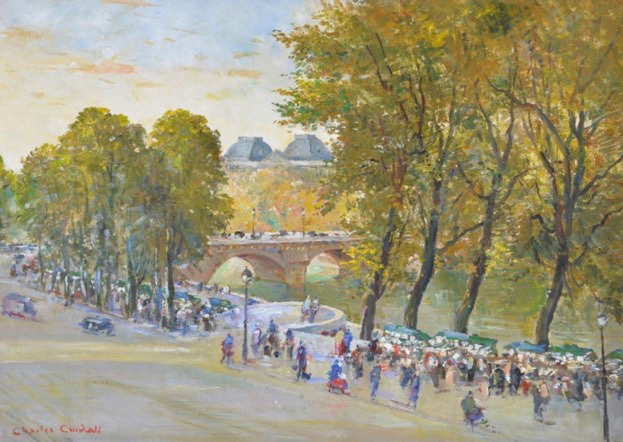 He became noted for his panoramic pictures, including Bank Holiday Brighton, in the Tate Gallery – and crowds along the Seine. He was a member of NEAC, RP, RWS and other bodies and was a prolific RA exhibitor. He had his first solo show at Colnaghi in 1927. He was an Official War Artist in World War II during which he was elected RA. His work as an Official War Artist has not yet received the attention it undoubtedly deserves. INTERESTED IN THIS ITEM? WANT MORE DETAIL?